Good Morning Mizzou’s, Blake Holland, explores the Fencing Club at Mizzou. 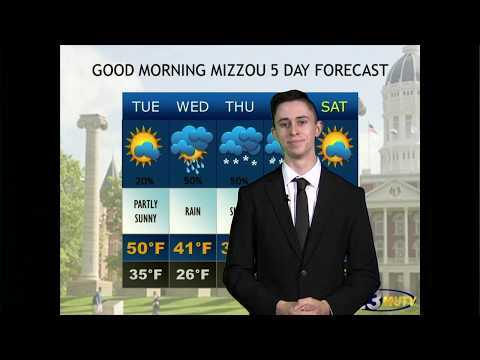 Good Morning Mizzou’s, Chance Gotsch, gives us the weather for this week. Do you like your toilet paper under or over? We asked that question to students on campus. Want to know more about fencing? We’ve got you covered. Check us out for weather, political and other updates for the week! Stay up to date on politics, weather, and more!! We’re back! Check out the latest with weather and sports, and see how students feel about the 2019 Super Bowl. GMM 2.3.19 from MUTV on Vimeo. Your weekly update with sports, what’s new at mizzou, weather and more!! Check us out for some Thanksgiving surprises as well! GMM 11.11.18 from MUTV on Vimeo. What’s New at Mizzou? Aminah has the answer! Check us out for weather, sports, and more! GMM 11.4.18 from MUTV on Vimeo. We sit down and talk to Ethan Greenblatt about Mizzou for Movember and discuss dining hall food. 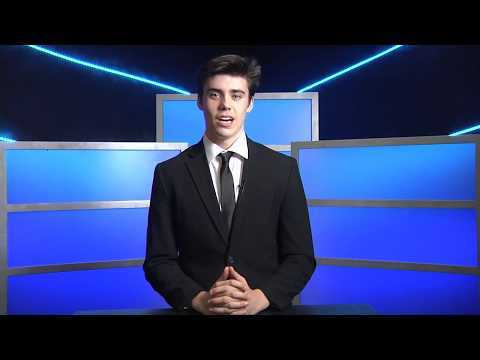 We also keep you in the know with What’s New at Mizzou, Political Prowl, and the weather.